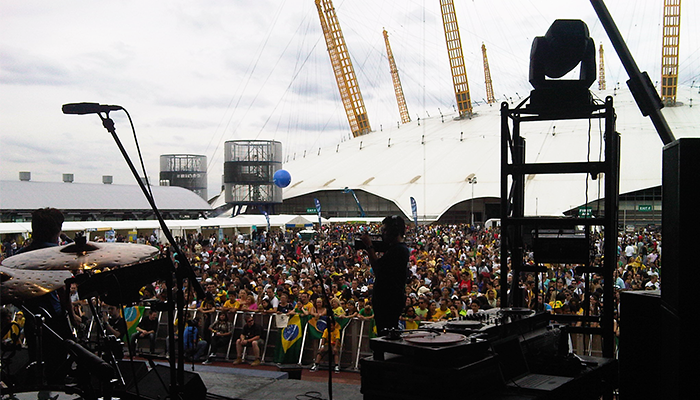 As part of the Brazilian Day celebrations, Day of Brazil festivals are held up and down the country during the summer, with the largest taking place in London. 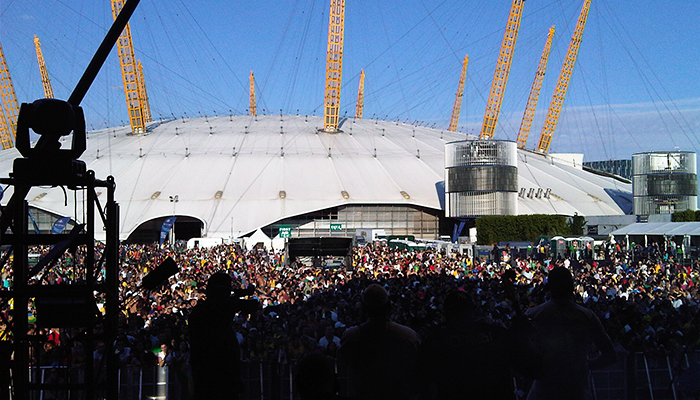 Showcasing the great diversity of Brazilian culture, the festival includes outdoor partying, live music by Brazilian artists, appearances from celebrities and sports stars, all topped off with traditional dancing and an abundance of food. In 2013, in conjunction with SWG Events, EHP were contracted to facilitate the whole event from planning through to completion. 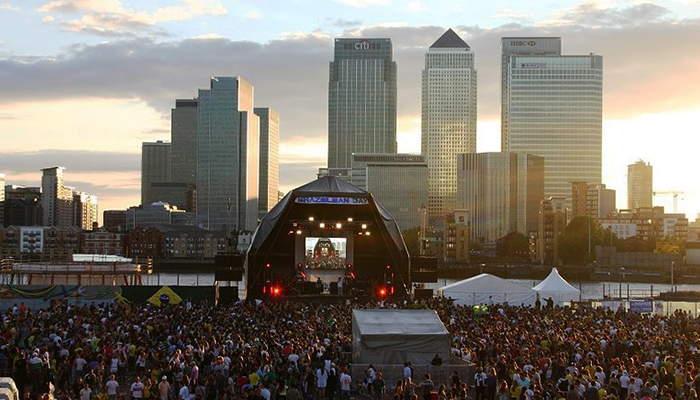 To provide and construct raised marquee platforms for VIP’s, all staging, signage and DDA platforms for the festival. With such a unique site to work with in the Peninsular Gardens, and the backdrop of the Canary Wharf, this was one of our favourite events of the year. With our team of experts working to construct all staging and raised marquees, the setting was complete in plenty of time to welcome revellers and a lively carnival atmosphere. SWG Events were a pleasure to work alongside, and the festival was truly one to remember.